In our opinion, reading is like drinking water in the middle of dessert. Why is it so? The water here is the metaphor of the knowledge contained in what we read, and the dessert here depicts our lack in knowledge. Therefore, we can conclude that reading is to suffice our thirst for knowledge. In the ancient times, the sources of reading are so limited. But now days, there are various kinds of reading sources and materials. But the problem is, “Do people know how to read properly?” What we mean here is not questioning whether or not people know how to read a group of alphabets forming words or a group of words consisting at least a subject and predicate for we are certain that most Indonesian people can read words, sentences, and paragraphs, but what we are trying to question are whether or not people know how to choose good reading materials based on their needs, the effective steps in reading, and more importantly whether or not people know how to make the activity of reading becomes fun. The answer is still vague. In line with the presented assumption in the preceding paragraph, this article was written share our group’s ideas about how to be a good reader, especially adult readers. The article consists of seven parts: introduction, definition of reading, reading comprehension, techniques in reading, tips for reading, conclusions and suggestions. There are numerous ways to define reading. According to Collins (1998: 8), reading is a mental process that has two parts: word recognition and comprehension. Furthermore, Collins explained that the act of reading is to recognize words in print and to comprehend their collective meaning. Collins also emphasized that the process of reading is performed inside the human brain. That is why it is called a mental process. Word recognition occurs when a reader sees a sequence of letters (a word) in print and matches that sequence of letters with a pronunciation and meaning(s) located in his or her brain where information about words is stored (Collins, 1998: 9). In further explanation, Collins said that a reader recognizes a word when he sees the word and makes a connection between the sequence of letters in print and an appropriate meaning and pronunciation in his brain. Therefore, word recognition is an important thing in the whole reading process. Related to that explanation about reading, it is important to underline the print, for it includes every written language including text that will be explained in the next subtitle. The text is located in the frame of the print. This where the correlation between transition signals and reading comprehension predicted lies. Comprehension is a complex process that involves constructing reasonable and accurate meaning by thoughtfully considering the information of massage of the text and connecting it to prior experience and knowledge (Collins, 1998: 62). From the definition, it can be inferred that comprehension requires the construction of reasonable and accurate meaning. Meaning cannot be separated from the fact that a text should be well-constructed. Furthermore, the process also involves prior experience and knowledge. Thus, the case of comprehension seems so simple in the surface, but it is complex in a closer look. There are still numerous perspectives about reading comprehension (Rumelhart, Strang in Asnani: 2009; Gough, Hoover, and Peterson in Collins: 1998). However, in every perspective, one thing that is required for comprehension is a text which is readable and well-organized (Kobayashi: 2002). The explanation about readability of a text will come in the next session. However, whatever theories we use to define reading, it is still required the provided print that in this case refers to text. In general, it can be concluded that there are two main aspects in reading process; the cognitive process occurred in the brain of the reader and the linguistic process printed in the text. Collins (1998) stated “to perform the act of reading is to recognize words in print and to comprehend their collective meaning”. Accordingly, it is firstly necessary to understand what print is. Print is a term used to refer to any form of any written language (Collins, 1998: 8). In addition, the form of language can be in the form of word, phrase, sentence, or paragraph. Therefore, even it is a single printed word can be included to print. Williamson (1988:8) stated that in language acquisition, reading is considered as an important activity because it promotes better spelling, better writing, higher reading comprehension, and a more advanced vocabulary. The purpose of equipping the students with particular reading comprehension is to train them to get general and specific information from the text. Students are also asked to practice the academic skill of finding the main idea, making inferences, and drawing conclusion (Zukowski & Faust, 2002). Comprehension consists of some levels which refer to hierarchy of human mind operation, from the lowest to the highest level. These levels can be distinguished based on complexity needed to understand a reading selection. There are three levels of reading comprehension, i.e. literal comprehension (reading the lines), interpretative comprehension (reading between the lines), and applied/critical comprehension (reading beyond the lines). Literal comprehension is the lowest level of comprehension. According to Smith and Robinson (1980), literal comprehension is getting the meaning of a text only on its surface. They state that ”there is no depth in this kind of reading” (1980:216). Usually to check the students’ comprehension, teachers give questions constructed from words in the text. Other practices that are commonly used are: factual questions based on the text, true-false statements, completion sentences, and multiple choice exercises (Smith and Robinson, 1980). These kinds of practices require no deep thinking. They simply demand students to recall from memory what the text says and to repeat parrot-like the words that are in the text. The second level of reading comprehension is interpretative comprehension which is higher than literal comprehension. Interpretative comprehension involves reading between the lines or making inferences. Readers are deriving ideas that are implied rather than directly stated in the text (Burns Roe, Ross, 1984). Critical comprehension is the highest level of reading comprehension. It requires readers to think critically of what is written in the text. Burns, Roe, and Ross (1984:190) define critical reading as evaluating written material, i.e. comparing the ideas discovered in the material with known standards and drawing conclusions about their accuracy, appropriateness and timelines. The critical reader must be an active reader, questioning, searching for facts, and suspending judgment until he or she has considered all of the material. Critical reading depends upon literal comprehension on interpretative comprehension and grasping implied ideas. There are different styles of reading for different situations. The technique you choose will depend on the purpose for reading. For example, you might be reading for enjoyment, information, or to complete task. If you are exploring or reviewing, you might skim a document. If you are searching for information, you might scan for particular word. You need to adjust your reading speed technique depending on your purpose. Many peaople consider skimming and scanning search techniques rather than reading strategies. However when reading large volumes of information, looking for clues, or reviewing information. Web pages, novels, textbooks, manuals, magazines, newspapers, and mail are just a few of the things that people read every day. Effective and efficient readers learn to use many styles of reading for different purpose. Skimming and scanning are different styles of reading and information processing. Skimming is used to quickly identify the main ideas of a text. When you read the newspaper, you are probably not reading it word-by-word, instead you are scanning the text. Skimming is done at a speed three to four times faster than normal reading. People often skim when they have lots of material to read in a limited amount of time. Use skimming when you want to see if an article may be of interest in your research. There are many strategies that can be used when skimming. Some people read the first and last paragraphs using headings, summmarizes and other organizers as they move down the page or screen. You might read the title, subtitles, subheading, and illustrations. Consider reading the first sentence of each paragraph. This technique is useful when you are seeking specific information rather than reading for comprehension. Skimming works well to find dates, names, and places. It might be used to review graphs, tables, and charts. Scanning is a technique you often use when looking up a word in the telephone book or dictionary. You search for key words or ideas. In most cases, you know you are looking for, so you are concentrating on finding a particular answer. Scanning involves moving your eyes quickly down the page seeking specific words and phrases. Scanning is also used when you first find a resource to determine whether it will answer your questions. Once you have scanned the document, you might go back and skim it. When scanning, look for the author’s use of organizers such as numbers, letters, steps, or the words, first, second, or next. Look for words that are bold faced, italics, or in a different front size, style, or color. Sometimes the author will put key ideas in the margin. Reading off a computer screen has become a growing concern. Research shows that people have more difficulty reading off a computer screen than off paper. Although they can read and comprehend at the same rate as paper, skimming on the computer is much slower than on paper. 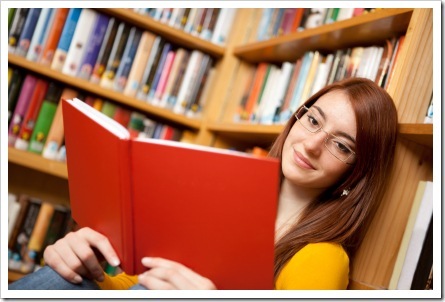 One of the best way to prepare for an exam, interview, or other similar situation is by reading materials that are related to the particular subject of which the individual learns in different way, so one person may be able to read and understand a particular subject very easily while another individual might find that subject to be incredibly difficult. As a result, an individual may have to adapt his or her reading style to suit the material that the individual is reading known as scanning. Scanning is a method of reading a particular list, sentence, paragraph, passage or chapter in which an individual is searching for specific facts related to particular subject. An individual that is scanning a particular piece of written material is not actually reading the material very carefully, but instead just searching material for a information very quickly. The individual, by following his or her eyes to scan over the material, or in other words rapidly move back and forth over the material, can search for specific words that might be related to the information that the individual is attempting to find. For example, if an individual is having difficulty answering a particular question included on a handout, that individual may want to scan related material to find the answer. The individual may not know the answer the question, but the individual knows the topic covered in the question and can therefore search for information specifically related to that topic. The individual could read an entire chapter related that subject, but it would much faster and much more productive for the individual to read over the material very quickly and find anything that brelates specificallyto that particular question on the handout rather than reading everything word for word. It is extremely important to note, however, that scanning is only useful if the individual knows exactly what he or she looking for in a particular piece of material. This is because scanning is not an effective way of studying all of the information covered in particular passage as it is only a method of finding specific information, so an individual that scans without knowing specifically what he or she is looking for will usually miss key information. Reading, as we all realize, is one of undoubtedly fundamental receptive sub-skills besides listening. Accordingly, it is important to improve such skill over and over particularly reading skill in academic area. In this case, SQ3R is proposed to deal with such problem; SQ3R stands for survey, question, read, recite, and review. The more elaboration will be presented in the following. The first step is surveying the chapter. In this step, you are invited to do some procedures before reading the chapter. First of all, read the title so as to prepare your mind alerting on the subject that will be discussed within the book. Then, read the introduction and/or summary; you have to think what the author/s’ purposes really are. Look over the table of content since you have to classify which chapter you have to read first and the ones that you can read later. Of course, it depends on your necessity and purposes of reading; so, again prioritize your reading. Do not forget to glace quickly any headings, boldface, italics that must show the essential things. Besides notice any graphics, maps, diagrams for they are there to make visualization in order to help the readers to get more comprehension. And, read the end chapter questions before reading the chapter as a whole. The second one is questioning; here, you are still prohibited to read the chapter. In this step, you have to create questions on your own as many as you possibly can; some headings, headings, italics, graphics, and so forth can help you to do so. As you continue to search some important point within the chapter, you can add more and more questions. Do not forget to take notes of your questions; it will be useful for you to conduct the next step. Try to guess the answers of those questions, then. By doing such, you may upgrade your anxiety so that you want to know more and more. If so, the one and only choice for you is doing the next step namely reading. Reading the chapter is the third step that comes after reviewing. When reading each section of the chapter, bring your questions in your mind; look for the answers. If you have found the answers, underline those. The underlined sentences show the important part of the section. Later on, this underlined section will help you to pick out the important point rather than read the whole section. The next is reciting; it means practicing out loud what you have written down. After each section of reading, stop thinking about your questions. Then, try to answer them from your memory. If you cannot do such thing, look back again. You are not allowed to go on to the next section until you can say what you have learned. The last step is reviewing; once you have finished the entire chapter using the steps above; go back over all the questions that you made. See if you can still answer them. If you cannot, read the chapter again, being careful to answer your own questions. Those steps above cover the ways to improve reading skills in academic field. Although it may be slow at first, it can enhance your reading skills later on. Bear those in your mind then. After we discussed, we can conclude that reading is the activity to recognize words in print and to comprehend their collective meaning. It has two process, word recognition and comprehension inside of human brain, and it can be called as mental process of reading. Word recognition occurs when a reader sees a sequence of letters (a word) in print and matches that sequence of letters with a pronunciation and meaning(s) located in his or her brain where information about words is stored (Collins, 1998: 9). Comprehension is a complex process that involves constructing reasonable and accurate meaning by thoughtfully considering the information of massage of the text and connecting it to prior experience and knowledge (Collins, 1998: 62). In other word, it is called by reading comprehension. Reading comprehension has three levels. The first is Literal Comprehension, second is Interpretative Comprehension, and the last is Applied/Critical Comprehension. As a reader, it needs to know the common technique of reading. If you are exploring or reviewing, you might skim a document, it means that you use reading skimming technique but if you are searching for information, you might scan for particular word, it means that you used reading scanning. Moreover to improve reading skill we can use SQ3R technique; survey, question, read, recite and review. Although it may be slow at first but it can enhance your reading skills later on. As reading has many techniques, it is important firstly to know what the reading for. For instance, if we are going to explore or review the whole text, thus the skimming technique can be the best choice for us. And, if we are going to find some specific informations or the meaning of particular terms, thus the scanning techniques can be the best choice for us. In addition, in order to improve our skill in reading, we can use SQ3R technique as it is surveying, questioning, reading, reciting and reviewing a material. By this technique, we can improve our reading slowly. Asnani, Muhammad. 2009. The Correlation Between Reading English Novel Interest And Reading Comprehension at Fourth-Semester Students English Department FKIP UNISMA, Unpublished Thesis. Malang: Universitas Islam Malang. Collins, David and Ann Collins. 1998. Advancing Reading Achievement. Educational Research and Improvement. United States: United States Department of Education. Kobayashi, Miyoko. 2002. Method Effects On Reading Comprehension Test Performance: Text Organization And Response Format. (online) (http://www. Ltj.sagepub.com/cgi/content/abstract/19/2/193, accessed on April 27, 2011).